The archaeological site of ancient Ithome (Messene) lies in a fertile valley around the centre of the region, south of Mount Ithome. 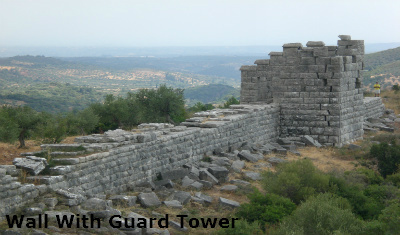 Ithome was the strongest natural and man-made fortress in Messenia. The fortification walls are best preserved on the northwestern side, on either side of the Arcadian Gate. 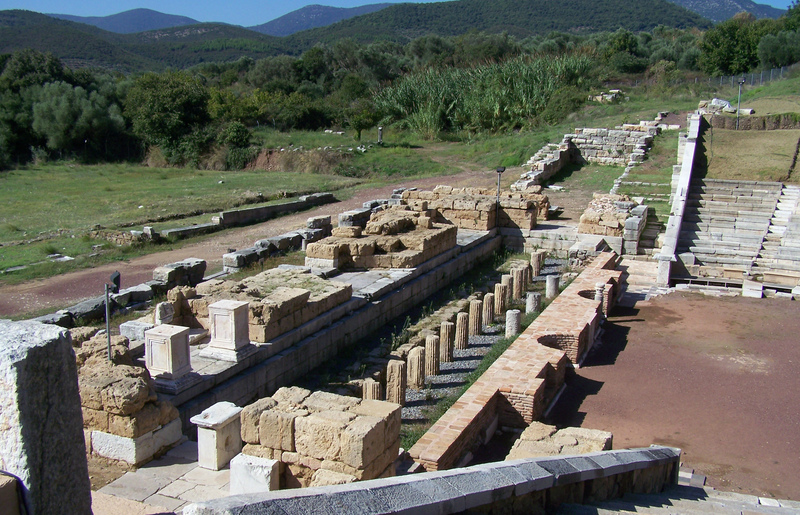 Messene was surrounded by a wall 9km long and 7 to 9m high. It was fortified by 30 square or horseshoe-shaped guard towers with doors giving access to a protected walkway on top of the wall. 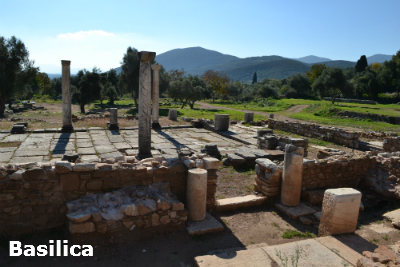 The site was first built in the early Bronze age, and in the 9th-8th c. BC the cult of Zeus Ithomatas was established on the peak of Mount Ithome. Building also began at that time in the lower city. 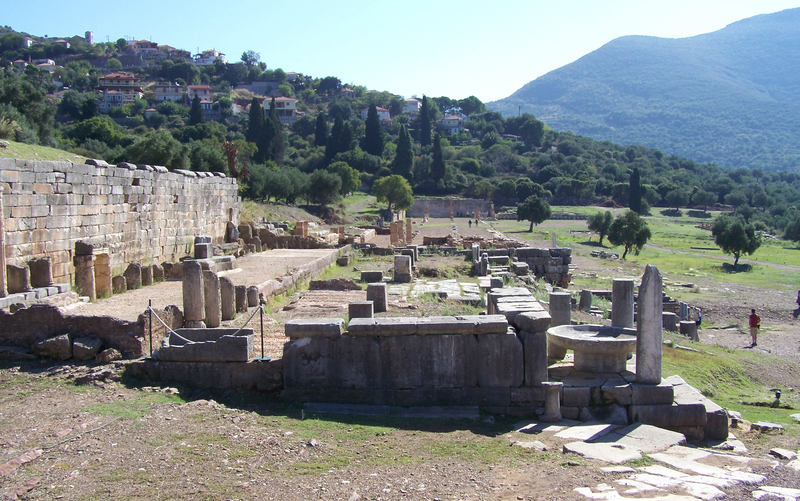 Following the First Messenian War (743-724 BC) the Spartans anexed the area and put a stop to the growth of the town. After taking care to make sacrifices and receive omens from the gods, Epaminondas invited construction engineers and artisans from anywhere to join him. 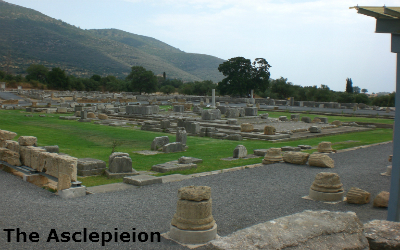 In 85 days the combined armies and exiles guided by the engineers and artisans had completed the walled city of Messene over the site of the previous Ithome. The city included within its walls Mount Ithome and enough agricultural land and springs to withstand a siege indefinitely. 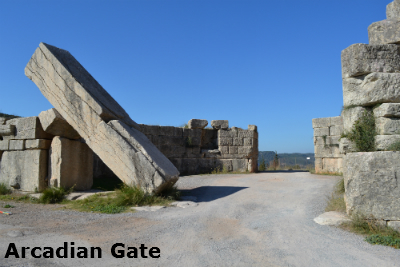 The wall had two main gates - the Arcadian Gate and the Laconian Gate (which has not survived). The western Gate, called the Arcadian, is in relatively good condition. 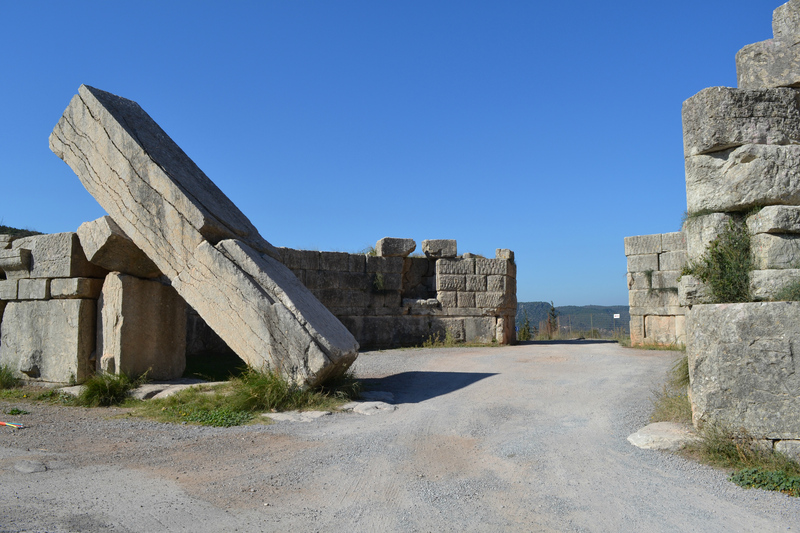 It is a monumental construction built of gigantic limestone blocks, circular in shape with two entrances, a double one in the interior and an external one, the latter being protected on either side by two square-shaped towers. The inner gateway had a magnificent lintel formed from a nineteen foot block. 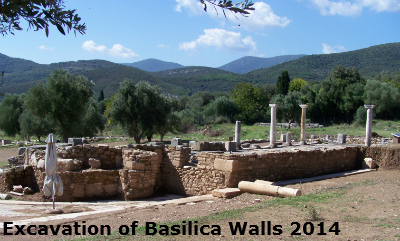 Sections of the walls are among the best-preserved examples of Greek fortifications of their time. 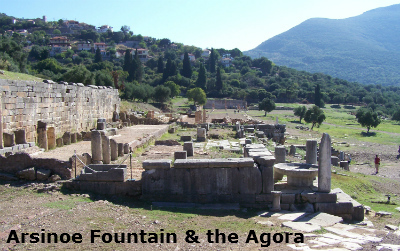 The city was built in a way that ensured the equal distribution of land between the rich and poor, while everyone could access its majestic centre, comprising the agora as well as all of its public buildings and religious monuments It has the advantage of never having been destroyed or covered by later settlements. 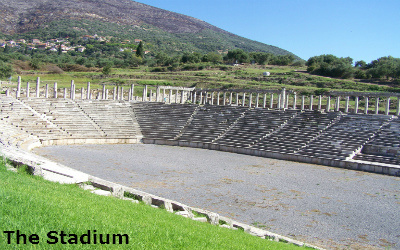 The Messene Amphitheatre, with room for several thousand spectators, is quite unusual: it does not sit in a natural hollow as is usually the case for Greek theatres, but is sited on an artificial hill supported by a massive retaining wall. A series of stepped passageways lead through that wall to the interior. 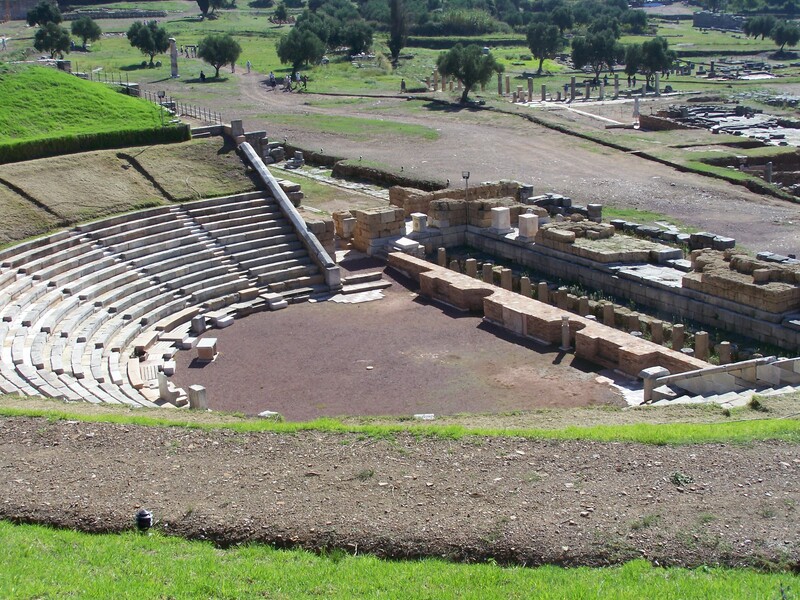 The amphitheatre would have been used for dramatic performances and also for political assemblies. 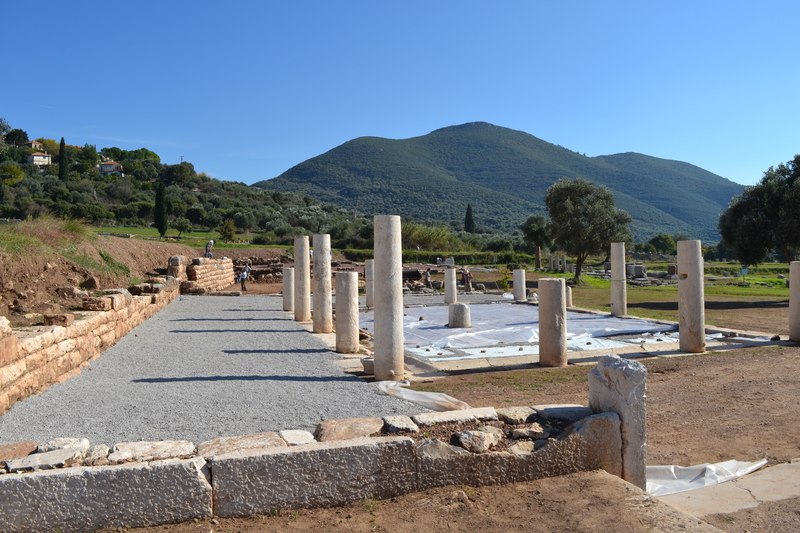 A great deal of excavation work has been carried out at Messene in the last few years and a lot more is ongoing. I have been visiting the site at least once a year in the last 8 years. 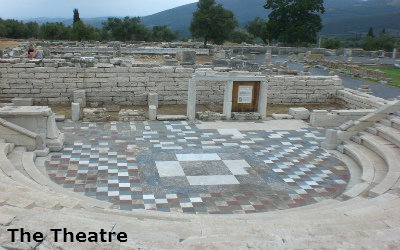 Work has been carried out on the amphitheatre seating area and the proscenium has had extensive reconstruction in 2014. 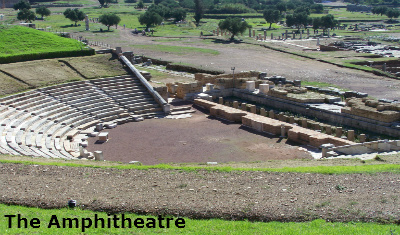 The restoration of the Amphitheatre, has been funded by the 2nd and 3rd Community Support Framework and the Stavros Niarchos Foundation, it has taken 20 years and the first concert for 1700 years was held in the Theatre in 2013. Excavation of the site began in 1828 by the French who left in 1833, then only exploratory excavation was carried out. 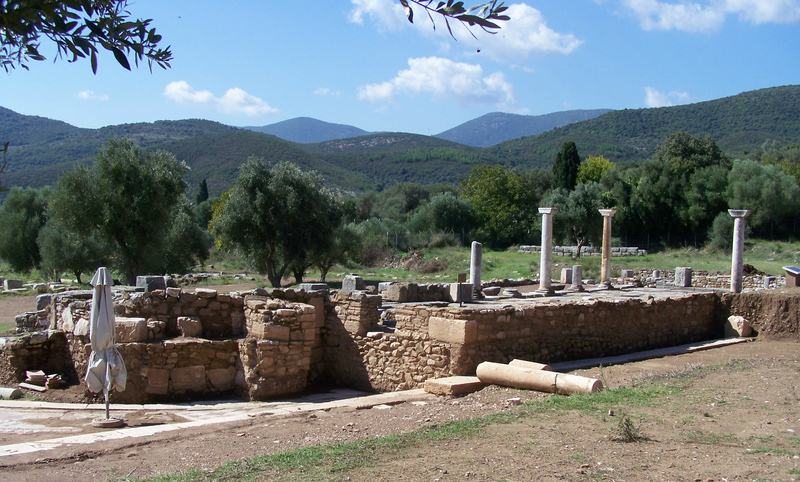 The current excavator, Petros Themelis, who received permission to dig from the Council of Athens Archaeological Society in 1986, suggests that systematic excavation of the site was first undertaken by George Oikoumenos of the Athens Archaeological Society in 1895. Since then a number of noted archaeologists have made contributions. 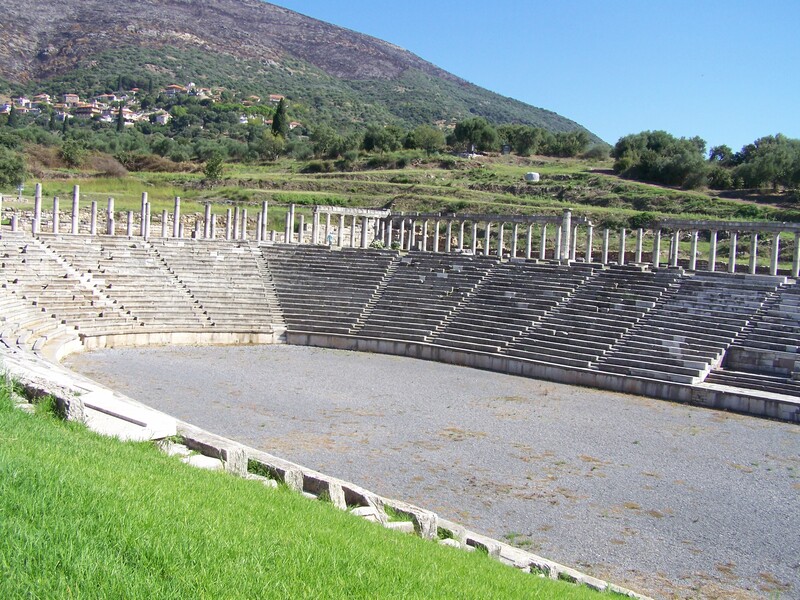 For the past 29 years, ongoing excavations in Messene by Professor Themelis and his associates have uncovered an elaborate ancient city, complete with theatres, a stadium, breath-taking temples, sanctuaries, water fountains, statues and private residences. 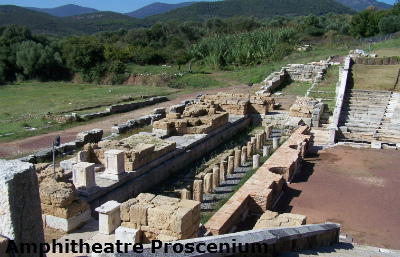 A little above the theatre lie the foundations of an enormous fountain house, named after the mythical character Arsinoe. 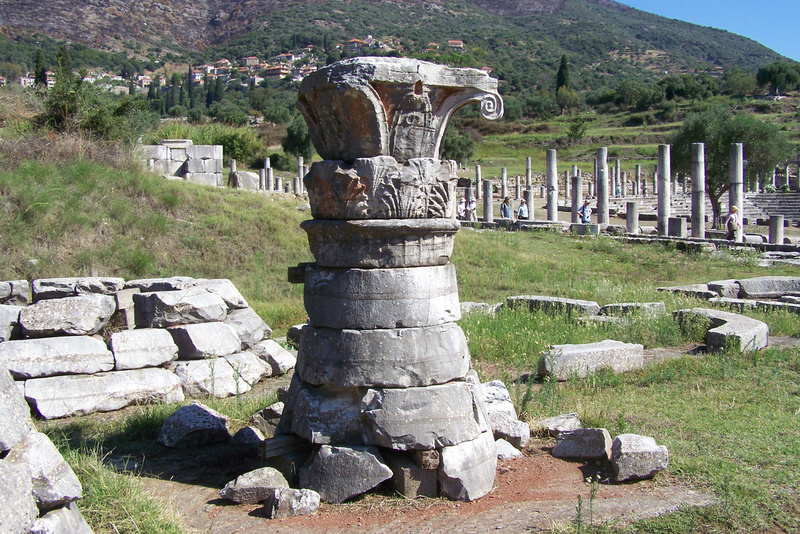 Its waters came from the Klepsydra spring in the village of Mavromati above the city. A museum of the extensive finds has been constructed within the old city walls. Pausanius (a Greek writer) gave a description of the city, its chief temples and statues, its springs, its market-place and gymnasium, its place of sacrifice, the tomb of the hero Aristomenos and the temple of Zeus Ithomatas on the summit of the acropolis. 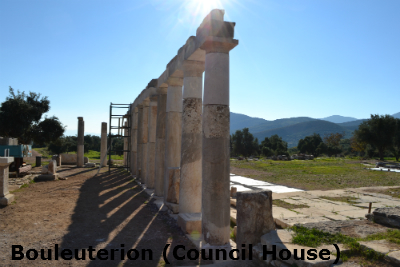 The other buildings which can be identified are the theatre, the Arsinoe fountain house, the Stadium and Gymnasium, the Sanctuary of Demetra & Dioskouroi, the Asclepieion, the council chamber or Bouleuterion, the Agora and the propylaeum of the market, the Cross Road and the Hierothysion. 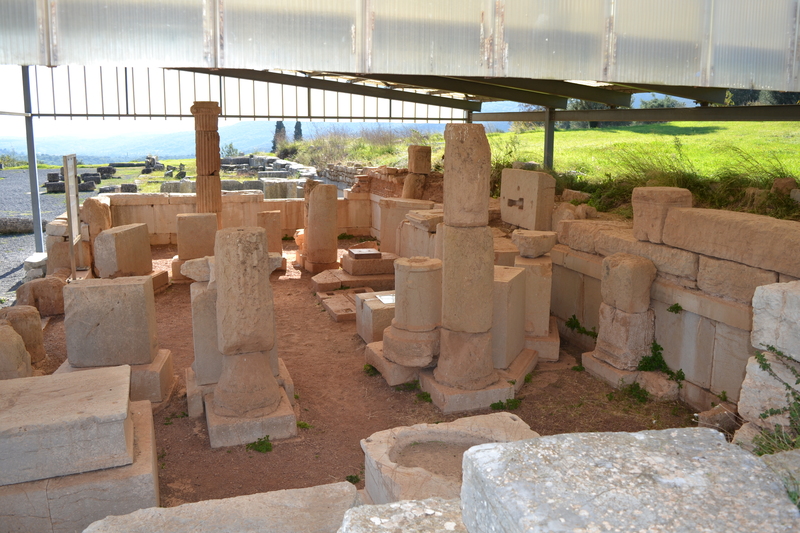 Excavations over the years have brought more than 18,000 artefacts to light, including the Asclepeion, a group of buildings originally adorned with more than 100 bronze and stone statues and dedicated to Asclepius, the god of medicine and healing. 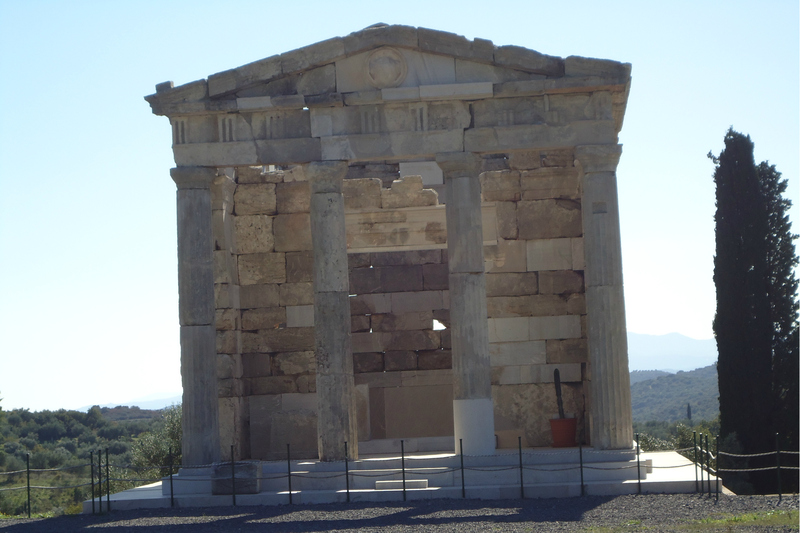 On the shoulder of the mountain are the foundations of a small temple, probably that of Artemis Laphria. 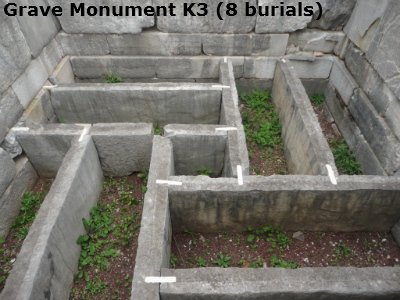 There is a grave monument next to the Asclepieion and a whole series above the stadium in the gymnasium area. There are also graves just outside the Arcadian Gate. 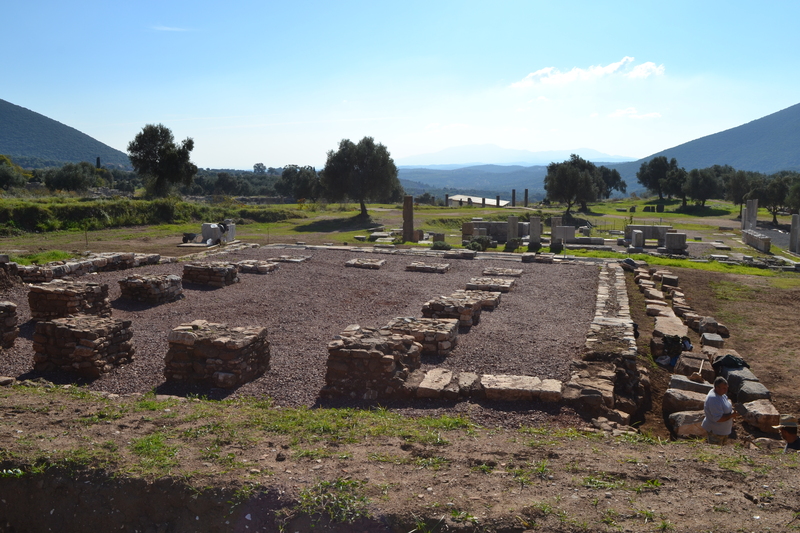 Behind the Amphitheatre are the ruins of buildings where three amazing mosaic floors have been excavated - one is almost intact. Another Byzantine structure near the theatre is a small basilica church, reduced to its foundations which present a very clear image of the typical ground plan of that common building type. A new excavation on the site, quite near the amphitheatre, shows tiled floors and work is being carried out to excavate the walls. 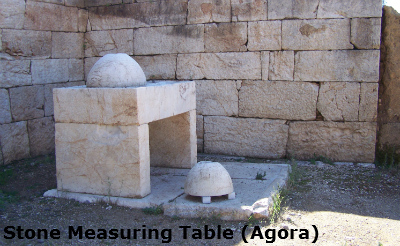 Excavations have been ongoing on the Agora and two wonderful hypercausts have been uncovered along from the Arsinoe Fountain as well as stone tables that were used for measuring grain, etc. 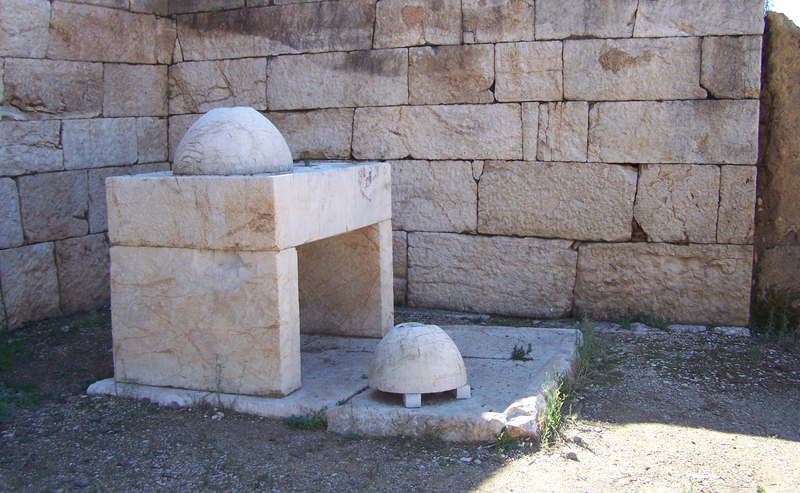 In 2013, soot and charring was still evident on the stone work of one of the hypercausts. The Stadium is amazing and work continues on the columns that range around the outside. The wonderful Saithidai family Heroon/Mausoleum at the far end of the Stadium is now complete. There is also work being carried out on the Gymnasium area above the Stadium. I believe that Messene is one of the most wonderful Archaeological Sites in Greece - certainly the best one that I have seen and the one that is the least known and visited. Also, nothing is "roped off" so there are no restrictions on where you can walk (except for a couple of areas where there are ongoing excavations. 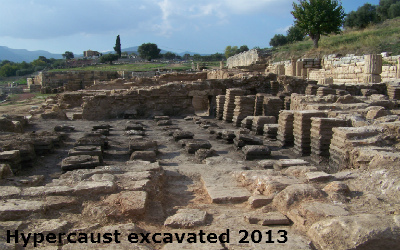 There have been 4 new excavations carried out this year. There has been ongoing work at the Basillica with more wall uncovered. 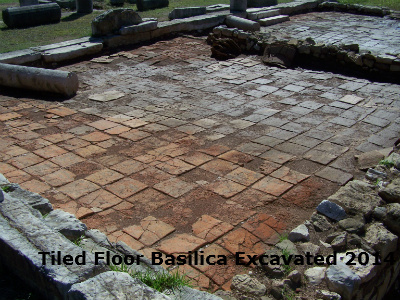 The Basilica, divided into 3 aisles was entirely built with materials taken from earlier buildings, as indicated by the pavement at the nave and the walls of the apse. It was first established at the end of the 7th Century AD and functioned during the Byzantine period being continually repaired and transformed. 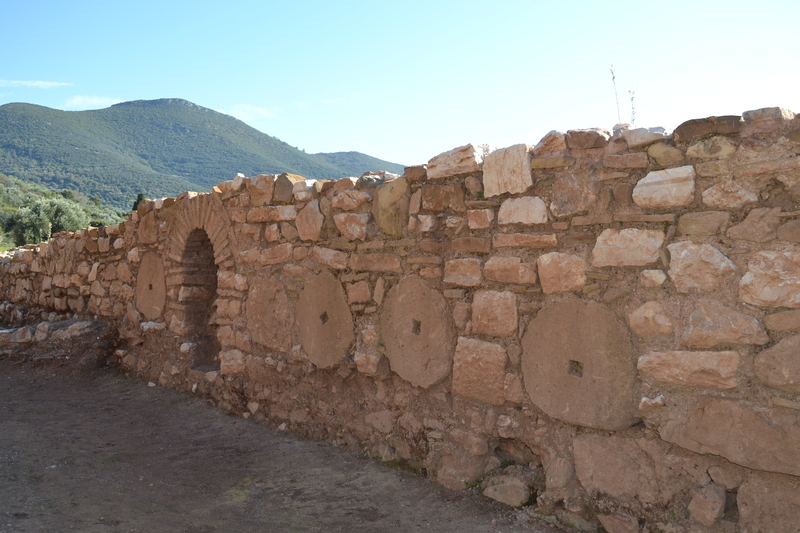 During the Frankish period the side aisles were used for burials. 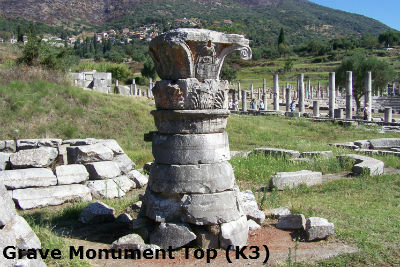 Most of the ionic column bases are in place. 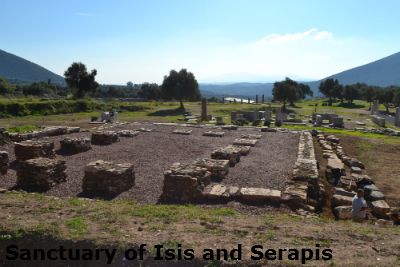 The cult of Isis and Sarapis moved to Messene from Alexandria during the 2nd century BC. The sanctuary of the Egyptian gods is located close to the amphitheatre. A vaulted underground water crypt in a square U shape 46.5m long and 35.5m wide was an important element of the sacred space. It was symbolic of the Nile which was connected to the cult and the rituals of initiation. A marble statue of Isis nursing her child Horis was found, as well as others, in the underground crypt. 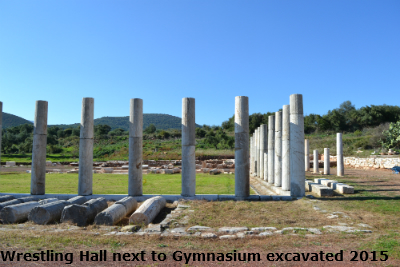 The Paliastra was connected to the gymnasium and used as a wrestling hall. It consists of a central courtyard surrounded by Doris stoas and small rooms. 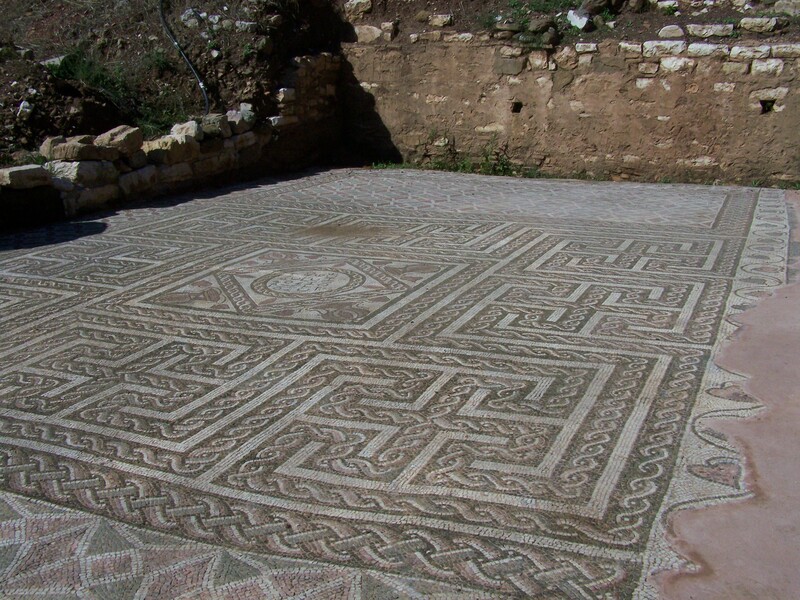 It was built in the 3rdC BC and was used until the late Roman period. 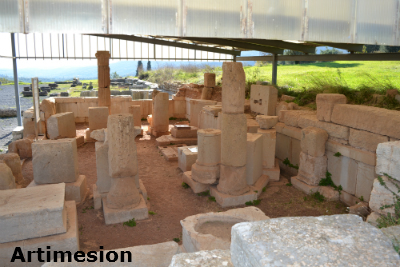 There are numerous names of Messinian youths inscribed on 2 columns on the north stoa. 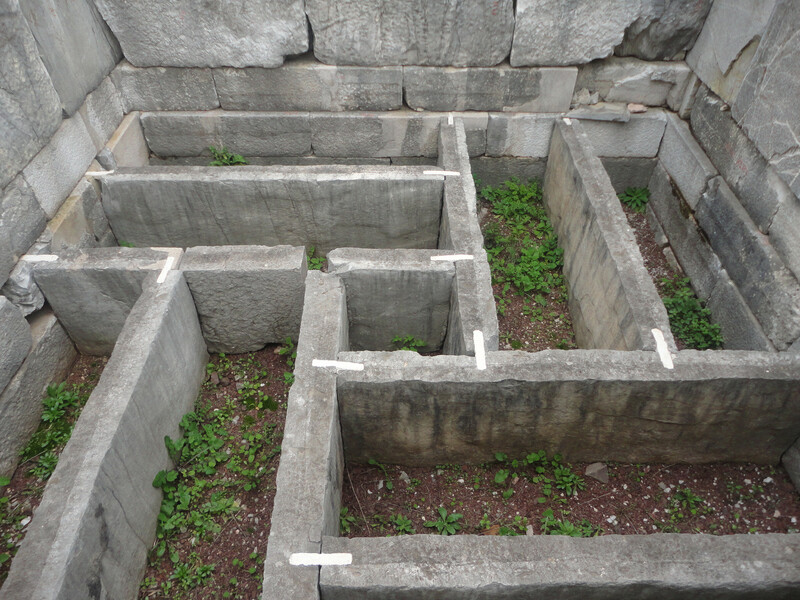 This is a rectangular building measuring 17.5 x 25.8 metres and identified on epigraphic evidence as a Bouleuterion (Council House) of the 4th C BC. The roof of the council hall was supported by 16 large pillars. There are 2 door openings on the south front side of the hall and a porch along the same side. 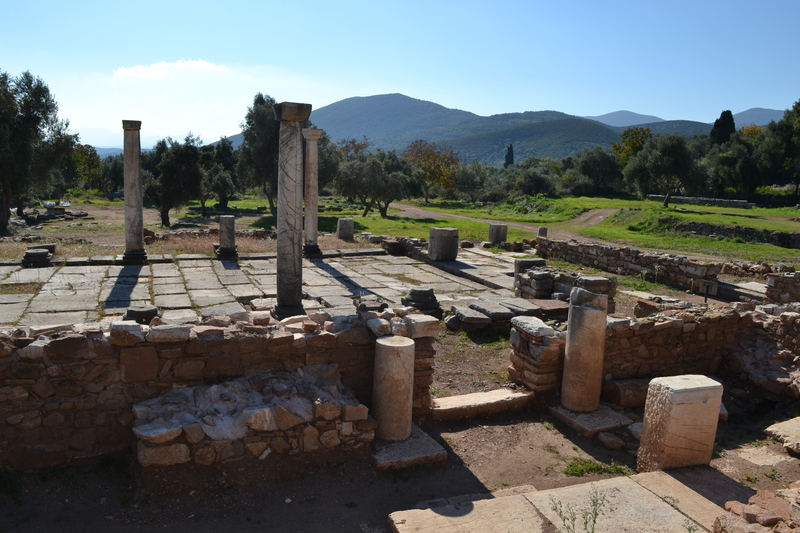 The Doric style stoa on the west side of the Agora (market place) was established in the 3rd C BC, repaired in the 1st C AD and functioned until the end of the 4th. An inscription on one of the architraves refers to the renewal of the wall coating and repairs to the roof. 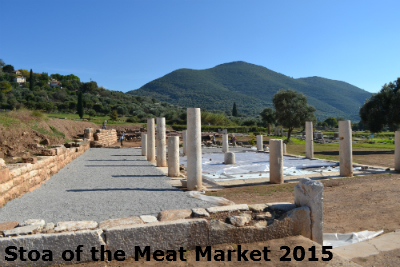 The stoa is connected with a courtyard to the east used as the meat market. 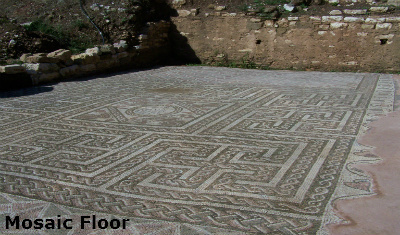 The floor of the courtyard was covered with mosaics and a perforated stone was used to tie the animals until they were slaughtered. 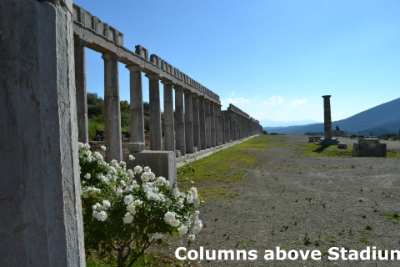 A great deal of work has been carried out on the columns that surround the Staduim. Many more columns have been put in place and architraves have been added. The sight is very impressive. 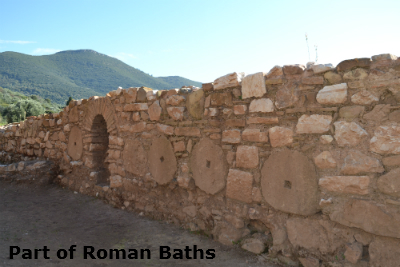 The Roman Baths building complex was a small public bath enclosing hypercausts the floors of which were supported by columns made of circular and rectangular terracotta tiles. It was built in the early 5thC BC and functioned until the 7th. It comprises the following rooms in a row from east to west: a) a praefurnium (area where the fire was set), b) caldarium (sauna hall with heated floor and walls), c) frigidarium (hall with pools), d) trepidarium (hall with warm bath). 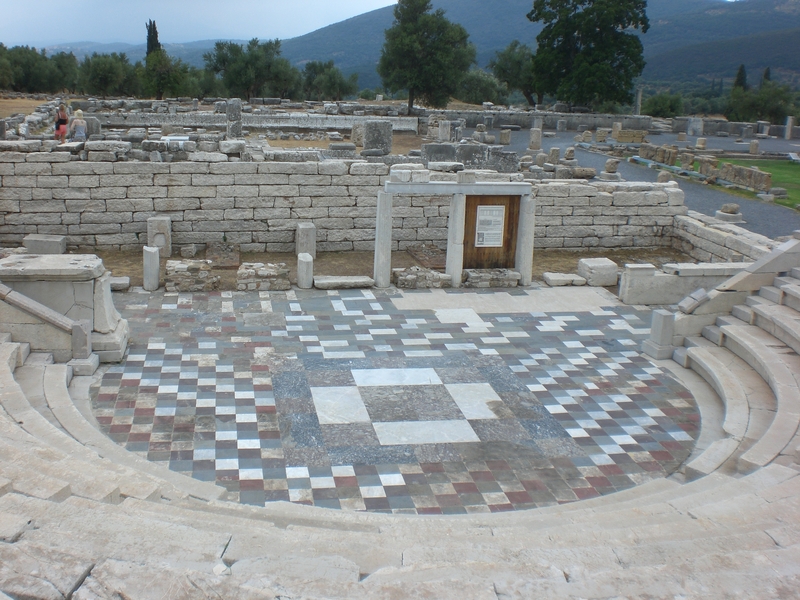 It was good to see, in November, that all the mosaic floors that have been excavated in the last 3 years have been covered for the winter. The museum is very small but beautifully set out. I was told that they have a great number of finds stored in the laboratory underneath the Museum. 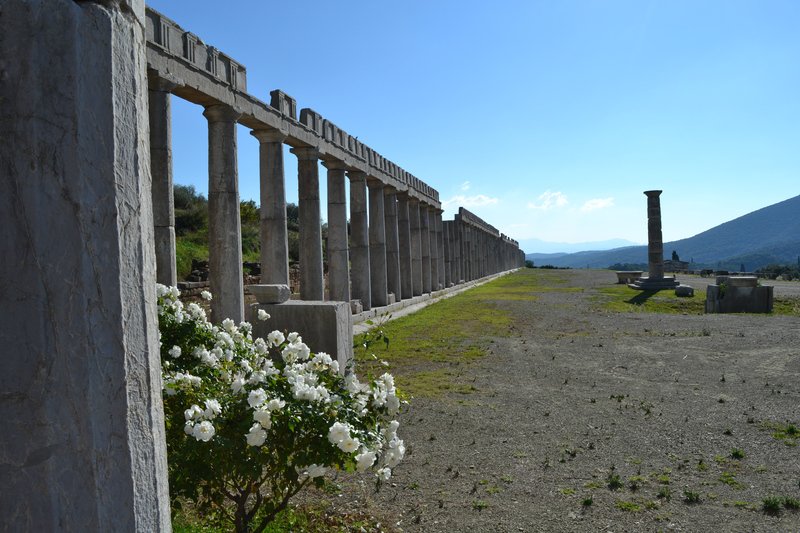 If you visit Messene during the summer months, make sure you have water, a hat and good walking shoes. You need a good 2/3 hours to see the whole of the site and there is a very nice self-service cafe inside the site. A must is a visit to the taverna called Ithome in the village of Mavromati above the site where the view is amazing. 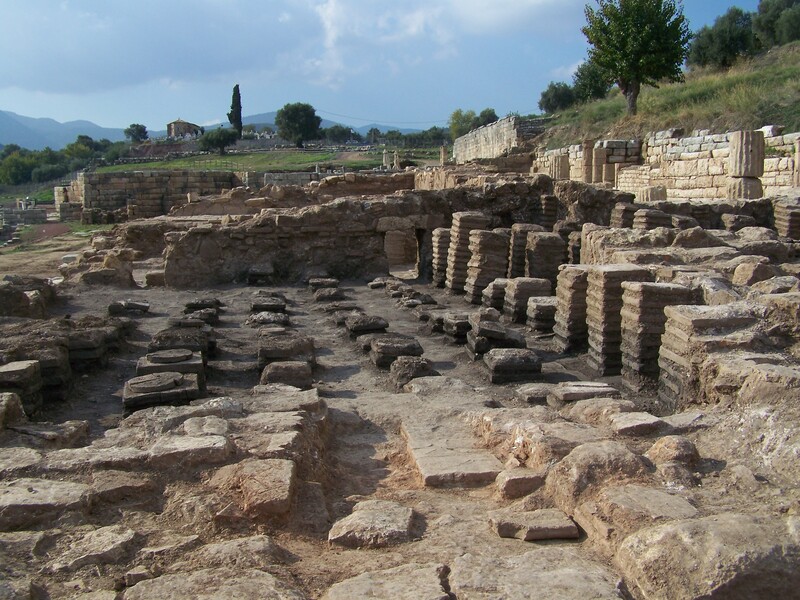 Here is a link to the Society of Messinian Archaeological Studies Visit Society of Messinian Archaeological Studies.